ysabetwordsmith | Poem: "As Is"
This poem is spillover from the April 19, 2016 Poetry Fishbowl. It was inspired by prompts from shiori_makiba and eseme. It also fills the "A Moment of Understanding / Clarity" square in my 4-19-16 card for the genprompt_bingo fest. This poem has been sponsored by a pool with daisiesrockalot and ng_moonmoth. It belongs to the series An Army of One. Warning: This poem contains some stressful elements regarding neurovariance and traumatic experiences. If these are touchy topics for you, please consider your tastes and headspace before reading onward. a new life on Sargasso Base. table and chairs for her room. to use as a toddler bed. but they still looked like uniforms. reminders of the military in her life. putting anything she could fit in her mouth. to take her measurements earlier. in circles waving her hands and giggling. if your new clothes fit," said Armelle. "Don't you want to try your nice outfit?" but beggars couldn't be choosers. put her off the project entirely. one of the few words she knew. after this," Armelle said to Embry. we'll see how the top fits." in an odd, tight voice. with the whiny, squirming toddler. "You said to try them on her." "Not the clothes. Her hands. You can't. Hold her like that,"
and had to fight down panic. to see if they fit her well enough." "You can't do that here!" digging in hard enough to bleed. hurt her. You can't do that here." "I'm not hurting Embry," said Armelle. make sure she has clothes to wear." too hard for her to stop. and all the people were weird. "Oh hey, what's the matter?" with his arms full of packages. pointing to Armelle and Embry. her arms like she was trying to fly. "Oh, she's a flapper?" said Bottleneck. his parents always scolded him for. standing on her toes like a baby bird. stop doing this," said Bottleneck. really awful memories about it." to learn to mind," said Armelle. with her head," said Bottleneck. like this anyway?" Armelle said. they'd all turn out like you?" "I don't see why not," she said. "Most people do. It's normal." "You don't always get what you expect,"
as is, not whatever you wish it was. I try to take you that way too." help her, then nobody would. The first tear trickled down her cheek. work it out. Somehow. We will." she just wanted to lie down. never got a moment's peace. "I don't know how," Armelle said. "Neither do I," said Bottleneck. gets to be part of that." to cling to her mother. what you people expect from me." Shuttlecock gave a watery laugh. a solution for Armelle now?" "I never knew the rules,"
many rules yet," Bottleneck said. except for the safety protocols." we have some common tastes,"
of us don't like eye contact. so it can be startling or painful." every diaper change was a battle. "I can see that," she said. then you can be great friends. make a starting point, too." "It used to be for everyone,"
by reading some old family journals. or spinning yarn or shelling peas. but that's not how we evolved." chewing the hem of her mother's skirt. Armelle gave Bottleneck a helpless look. want me to stop her, what can I do?" "Give her something safe to chew on,"
have any of the chewies here?" so stressful for a lot of folks." "That would be great, thanks,"
much of anything with us." are food-grade silicone," she said. and thought we might like these." handing the toys to her daughter. harder for her to lose it." 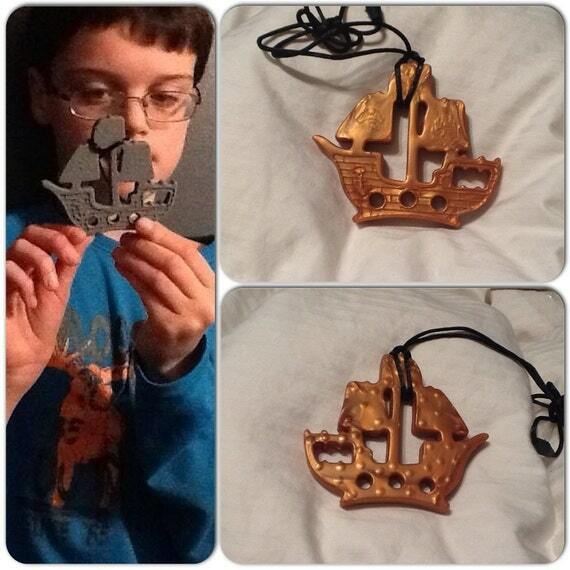 and fastened it to Embry's wrist. if you want one for yourself,"
and narrowly survived the Massacre. a purple star necklace. "Thanks." "Do you have a twiddle?" and that's a lot of change to deal with." "No, not really," Armelle said. "This is one of mine,"
can touch it if you want to." the soft blue yarn. "It's nice." I could teach you," said Shuttlecock. I don't care. There are lots of options." with Bottleneck to recognize it. That reminded her of something. has a way of fidgeting, you must too." I get paid for it, or I did. Now I get barter." you like to do," Shuttlecock said. "It makes people feel better." "That would be good," Armelle agreed. "Maybe it'll help me fit in here, too." "It's not that hard," Bottleneck said. We have traders who manage it." That made Armelle want to meet them. expecting the sentient starship at all. "Your daughter is falling asleep,"
and sprawled against her father's legs. which was a little big. That was fine. Embry would soon grow into it. these, and two of the skirt version." "I'll get on that," said Shuttlecock. had only visited two stores. "Yawning people are tired people,"
said Bottleneck. "Let's go home." "But we're not done shopping,"
has a meltdown," he said. when we get home," he said. to take everything as is. Uniforms have inspired many clothes for children. Here is a sailor uniform pattern. This page has school uniform patterns. 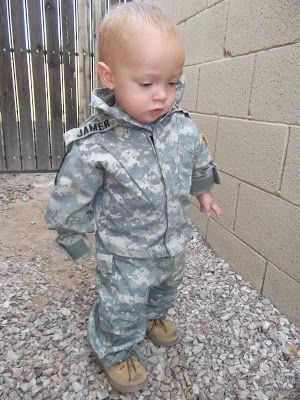 Similar to what Embry has, this toddler uniform and dress were influenced by military ones. Autism can be seen as a psychological adaptation with its own place in evolution. Early signs of autism should account for the fact that girls may present differently than boys. Because these are often overlooked, many people are not diagnosed, which has its pros and cons. But if they later recognize these traits in themselves, there is a huge stigma against self-diagnosis. As a devout empiricist, I suggest that you ignore the diagnosis unless you require paperwork to please people in power. Instead, look for patterns in your own behavior or feelings, then look for resources which address whatever related needs you have. In this regard it does not matter if you "have" autism; if you have any of those traits, you will probably get some use out of tools or techniques that autistic people have devised to cope with said traits. Sensory issues often occur with autism, and may involve sensory-seeking or sensory-avoiding behaviors. Understand how to meet their sensory needs. Stimming is what neurotypical people call repetitive behaviors they dislike. Fidgeting is a somewhat less stigmatized term. Many types of activity can serve as stimming, which has a soothing or balancing effect. Suppressing this regulatory function makes it more difficult for autistic people to think or work. Acceptance is better. Compare "socially inappropriate stims" to other things that people with special needs do to improve their lives. And yes, Deaf people have been discouraged from signing in favor of the inferior but more pleasing lip-reading; people who can use their legs at all are discouraged from using wheelchairs even if wheels hurt less. Some stims are more easily overlooked by an intolerant society. Therapy can be abusive in ways that destroy people. This post shows videos of good and bad therapy. One possible way to distinguish between abusive therapy and beneficial therapy is: would you accept this with a neurotypical child? (A drawback to this method is that some people generally consider it okay to mistreat anyone less powerful, including all children.) Sadly, it's perfectly legal to abuse children if you make it look like therapy. You only get charged if you slip over the line into behavior that someone in power recognizes as abuse. The problem with all this is that abusive therapy damages people's ability to feel safe, be happy, identify their body, interact with other people, and understand the world around them. What we see here in Armelle is the desperation of a parent who wants to keep her child safe but doesn't know how; and in Shuttlecock, a survivor of abuse who fights through her own scars in hopes of preventing someone else from suffering the same injuries. It's a mess. Humans are messy. See checklists for abuse in general therapy and ABA therapy. Explore what to do if you have been abused in therapy and how to heal from it. Autistic coping relies on the careful management of limited energy to complete tasks. This is why sudden changes upset them: that wastes energy and makes for uncomfortable shifts in momentum. Neurologically mixed relationships can work, but this requires compromise. Autistic etiquette includes understanding how to communicate with autistic people and how to be a friend to them. Good manners can vary greatly between cultures, and trying to force people to conform to your expectations is unlikely to produce positive results. But look what happens when autistic people interact with each other: it's much more fluent, and they have their own etiquette. Stim toys come in many styles, including chewable jewelry. Handheld chewies include the elephant (featured in pink) and the pirate ship (featured in copper). Necklaces include the star (featured in purple). It is vital to offer children choices in order to teach decision-making skills. Knitting is a fun and useful skill with some unexpected benefits. Many people find it therapeutic, and it's also a socially acceptable stim. You can learn how to knit things such as socks and scarves. Here is a simple sock pattern in several sizes, and a picture of socks in progress. There are videos for basic knitting skills. A meltdown is a horrible experience in which environmental demands exceed mental energy so much that the brain ceases to function properly. Neurotypical people tend to have meltdowns only under extreme circumstances, such as after witnessing a terrible car accident. Neurovariant people have a much lower threshold of overstimulation and may have meltdowns several times a week or even daily. Understand how to avoid meltdowns and how to cope with them. While this is an essential everyday skill for neurovariant people, it is also super useful for handling the rare meltdown in neurotypical people, who usually have no clue what is happening to them or how to treat it because it's unfamiliar. Backstopping is another valuable skill, often taught in autistic or disabled contexts, but relevant to everyone. It means giving someone a chance to solve their own challenges, but if they can't, then you step in and help. Yay! Poor Armelle - the culture shock must be awful. But she's adapting; she'll get there. Embry's going to be fine as soon as they figure out how to make larger parts of the station childproof, and she's among people who understand her now. That must be huge. It's nice to see Bexley and Falconwing, however briefly. And thanks for the WikiHow on avoiding meltdowns. I've been under a lot of stress in the last few years; as you say, meltdowns are scary as heck when you're not used to them and don't know what's going on. I'm learning, but it's been rough. The culture shock is horrible. The loneliness is horrible. The PTSD and traumatic grief are horrible. She's miserable right now. Yes, and I think ultimately it will be easier for Armelle to get along in the Lacuna than it was for Bottleneck and Embry to get by in neurovariant culture. Agreed. They really need to concentrate on that, because the station isn't at all safe for children yet, but they need children in order to continue their society. Sooth. It changes everything. Growing up without peers tends to be miserable and lonely. I'm glad you like them. I just posted "Valence" too, which is all about them. You're welcome. I'm glad I could help. Really it comes down to knowing yourself, knowing your triggers, managing your energy mindfully, having some soothers available in case you need them ... and having the freedom to choose what you will and won't do based on your resources. Most meltdowns are caused either by ignorance, or someone not caring if they hurt you. :( I hope things get better for you soon. You may also find "Backstopping" helpful if you have supportive people around. Hopefully things will get better this summer sometime, though that depends on several things coming together. That's what I would consider ideal: people compensating for each other's weaknesses. Some very very good links here - ones I would use to explain how to interact with me to people I trust to try very hard to do so, or to help myself process, if that gives you an idea of how much I valued them. The poem itself was a good read; I enjoyed the characters and the plot development. But my brain did that thing where it noticed something that might be upsetting and them refused to emotion about it at all, so I need to come back and reread with more spoons to fully appreciate it. :D Yay! I'm glad you found this so useful. I want people to have tools for taking care of themselves and each other. I am not surprised. Some of the content is very intense, and likely disturbing to people who have been mistreated in certain ways. The brain has a good safety catch. Random odd thought... it's funny how so much of autistic behaviour and etiquette maps to perfectly normal social behaviour, for cats! And to some other animals, too. There's one autistic woman who works as a slaughterhouse consultant because she understands what is scary to cows. *sigh* I just came across a reference that disabled children become violent when people refuse to respect their boundaries and won't take "no" or pulling away for an answer, so they start biting or hitting in self-defense. And I've seen lots of references to self-injury in the same context: it's what people do after other means of self-regulation have been taken away. Ideally, a stim should be soothing, not cause injuries, and not make a racket that distracts other people. (If others are embarrassed or uncomfortable simply because someone is different, that is their problem.) Given a current mildly destructive stim such as lip-nibbling, I'd say look at the kind of chewy necklaces that have beads. There are many other chewies such as pendants or pencil toppers, but lip-nibbling corresponds closely to manipulating one bead at a time. If you think you could transpose the action to your fingers, however, consider gemstone malas. My current favorite chewy is this starfish: https://www.etsy.com/listing/237394634/silicone-teething-starfish-pendant-bead (theoretically it's a starfish; it kind of looks more like a splat...). It's nice and bendy to fidget with, and I can nibble on just one of its arms or stuff the whole thing in my mouth. I went over your list of links. This post goes on my Memories list. Thank you. I'm glad you found it so useful.